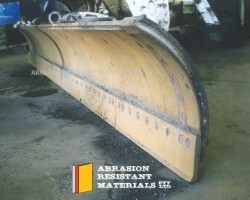 Many different grader wear part options are available – most incorporate Tungsten Carbide Hardfacing. 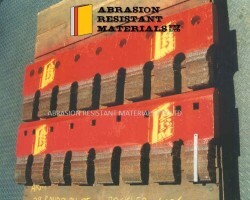 Nearly all of these options (from A.R.M* ) are patented. 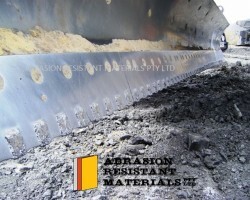 We can confidently provide several options for haul roads that will last around 2000-4000 hours in coal mines. 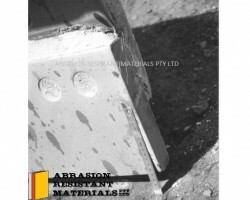 We also have severe impact GET options for Iron Ore mines. 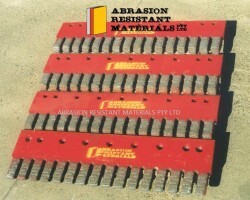 If you are using standard grader blades – then we can definitely save you a lot of money. ARM tungsten carbide hardfaced 24H edges at Callide Coal after 1909 hours - Standard CAT edges ha..
Standard 24H edge only has about 50mm of cutting edge before replacement is required .. 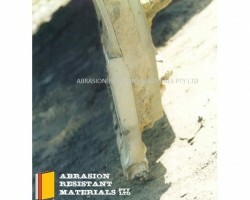 ARM tungsten carbide hardfaced 24H wide-serrated at Peak Downs after 600 hours .. ARM tungsten carbide hardfaced 24H / 24M serrated edges with 6 inch fingers. .. ARM tungsten carbide hardfaced serrated edge at Peak Downs - after about 2000 hours. 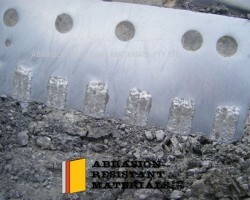 ..
Standard (non hardfaced) 24H / 24M grader edge .. ARM tungsten carbide hardfaced 24H / 24M semi-serrated (Patented) ..
New ARM tungsten carbide hardfaced 24H semi-serrated profile .. 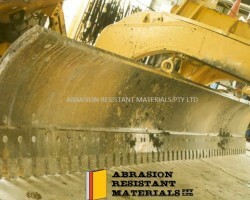 ARM tungsten carbide hardfaced 24M semi-serrated after 3361 hours at Peak Downs .. 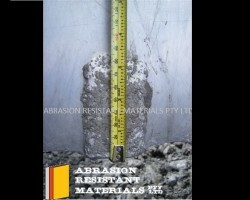 ARM tungsten carbide hardfaced semi-serrated on 24M, left side wear after 800 hours .. 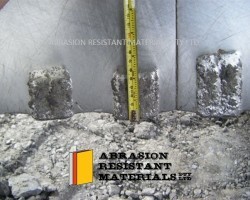 ARM tungsten carbide hardfaced 24M semi-serated middle section wear after 800 hours .. 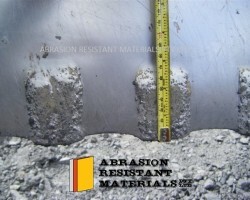 ARM hardfaced semi-serrated blade at 800 hours ..
Overview of an ARM semi-serrated blade (using tungsten carbide hardfacing) at 800 hours. .. Right side wear height after 800 hours. .. 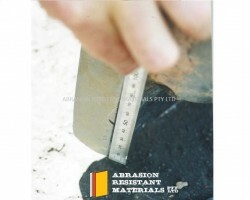 ARM tungsten carbide hardfacing - 24M normal serrated option (Patent Granted). ..